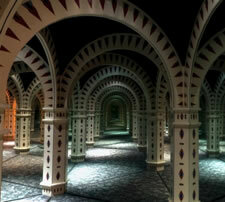 Our Ultimate Mirror Maze Challenge is a fun family experience that will appeal to children, teenagers and adults alike. Don't forget to view the "Funny Mirrors", which can make you appear tall, thin, short, wide… however you want to be! Give us a call for more information at 248.616.5030 or email info@frankenmuthmirrormaze.com.